It's time to compare our same-time sales over the years to see how the Sanibel real estate market is doing. As you can see in the stats below, over the same 9-month period, most catagories show a marked improvement from last year. The exception are Captiva home sales, which are down, but the average selling price is up. On Sanibel we currently (10/19/2015) have 105 home listings with prices ranging from $379,000 to $4,895,000. 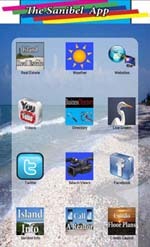 We have 88 Sanibel condo listings ranging from $225,000 to $2,695,000. On Captiva Island we currently have 37 home listings ranging from $889,000 to $9,900,000, and 37 Captiva condo listings from $244,000 to $2,700,000. With our "season" right around the corner, we are expecting a busy real estate year! The economy is doing much better and our local rental offices are almost booked solid for the upcoming winter season. Today's weather up north is calling for freezing temps and snow! That's a great baramoter for how popular Sanibel and Captiva Islands will be!